Painting Contractors, Charlotte, NC | Pride Painting, Inc.
We have earned an outstanding reputation for superior service and quality results. 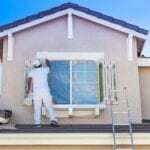 At Pride Painting, Inc., we recognize that you have several painting contractors in the Charlotte, North Carolina area from which to choose for your residential and commercial painting projects. If you are looking for one of the longest-standing ones, however, you’ll find that we are your best bet. We have earned an outstanding reputation for superior service and quality results. You don’t have to take our word for it – our A+ rating with the Better Business Bureau speaks for itself. Our two owners, Bob Bass and Mike Palladino, have more than 30 years of experience as painting contractors. They formed this company in 1996 to provide a level of excellence that is rare in this industry. We are often told by our customers that choosing us was the best thing they ever did because they enjoyed the process, the results, and the confidence that our 3-year written guarantee provides. We are passionate about transforming your home or business with interior or exterior painting and deck staining services. We will always make certain your project is done to your complete satisfaction, including cleaning up afterward. We take pride in what we do, so you can be proud of how your home or business looks. From start to finish, we will show you and your property the utmost respect. We arrive on time and get to work in a timely fashion. We maintain an organized work area and protect all areas not to be painted. You can count on us to be as little of a disruption to your normal activities as possible, which is something of vital importance for businesses. If you would like to know more about our services as the preferred painting contractors in the Charlotte area, contact us today. We would be happy to provide you with a free estimate and/or color consultation so you will know upfront what to expect for your project.